On this day in 1897 the first copies of Bram Stoker’s Dracula went on sale in London bookshops. Whilst researching the novel, Stoker found the name ‘Dracula’ in a book about Wallachia and Moldavia, written by a retired diplomat named William Wilkinson. Originally his eponymous vampire was to be called ‘Count Wampyr’, so it was for the best really. Upon its release, Stoker’s novel only enjoyed a very moderate success, and, indeed, when he died in 1912, none of his obituaries even mentioned Dracula by name. It was only in the 1920s, when the book was adapted for Broadway, that the idea of the vampire seemed to capture the public imagination – leading to Tod Browning’s classic 1931 Universal film of the same name, featuring a then little-known Hungarian actor called Bela Lugosi. Since then, Dracula has been portrayed 272 times on film and television – more than any other fictional character (including Sherlock Holmes – who has only been depicted a laughable 254 times to date). There have been some good times for the famous vampire over the years; notably the 1921 masterpiece Nosferatu (which sees Dracula trading under a different name for legal reasons) and the early horrors from Britain’s Hammer Studios, featuring Christopher Lee. Naturally enough, there have been some slightly weaker outings for the vampire too. The 1966 cowboy / vampire crossover Billy the Kid vs Dracula and the 1972 ‘blacksploitation’ movie Blacula, spring readily to mind. Though both have some good moments. Bluffing fact: Despite having been portrayed on film and TV so many times, the Count had to wait until the release of Jesús Franco’s El Conde Drácula in 1970 to be depicted with the large, floppy moustache that Stoker had given the character in his original novel. 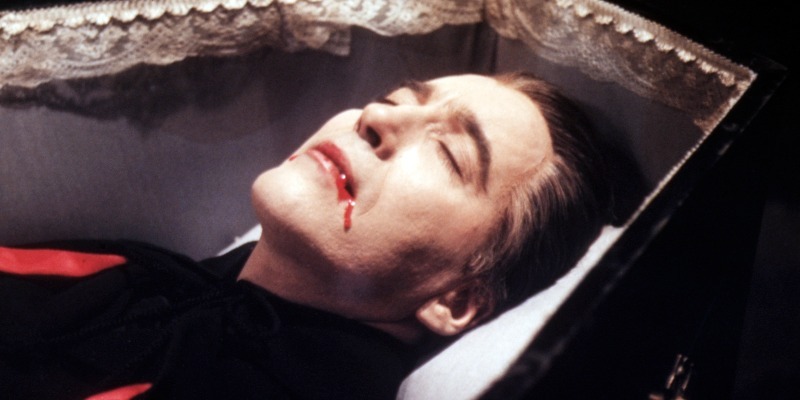 For more about Dracula’s fangy big screen frolics, reach for The Bluffer’s Guide to Insider Hollywood®.